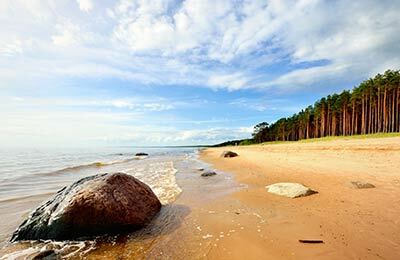 Book a ferry to Ventspils with AFerry. 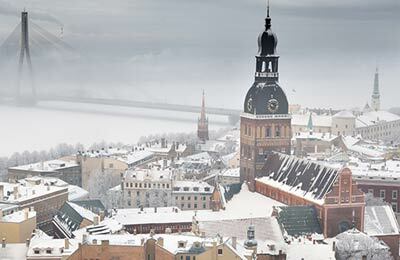 Ferries to Ventspils, in Latvia, are available from Sweden. You can take a ferry to Ventspils from Nynashamn. Ferries to and from Ventspils are operated by Stena Line. When you search for a ferry to Ventspils, we will always show a range of times just in case it's cheaper earlier or later than the time you select. Ventspils ferries with Stena Line are known for their comfort and high levels of service, and you will feel like your holiday has begun the moment you step on board. Travelling to Ventspils will be easy and hassle free. Start by making your booking today, it's quick and easy. Ventspils on the Baltic sea and on the Ventra river is the perfect gateway to North West Latvia and also a wonderful destination in its own right. Within the city centre, most locations can be reached on foot within 15-20 minutes. Public transportation is run by the local bus company "Ventspils Reiss" with modern blue coloured buses and minibuses. Most bus stops have a map of the routes and schedules for the lines that stop there.